Dr. Bon Ho Koo is a distinguished alumnus from the College of Liberal Arts, at the University of Minnesota. He graduated in 1967 with a Ph.D. in economics. While in Minnesota, he served as president of the Korean Student Association and was active in promoting debate as to how U.S.-educated Koreans could best apply their knowledge to conditions in Korea. 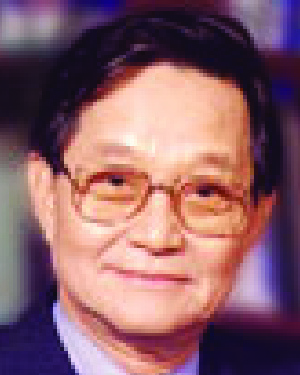 During the 1980s he served as president of the Korean chapter of the University's Alumni Association and in 1996 helped to organize University President Hasselmo's visit to Korea. Dr. Koo is currently chair of the Department of Economics at the University of Ulsan and distinguished professor at the KDI School of Public Policy and Management. He served as president of the University from 1996 to 2000. In recognition of his outstanding contributions, the Korean government awarded him both the Mogryon and the Moran medals, the highest honors that can be conferred upon a civilian in Korea. In 1971, Dr. Koo returned from the U.S. to Korea and took up a position at the Korean Development Institute (KDI), an economic development think-tank for the Korean government. He rose quickly to a leadership position, becoming vice president of KDI in 1973. In 1987 he became its president and in this capacity proposed critical economic reforms and restructuring programs to the government. He also contributed to the normalization of relations between Korea and the former Soviet Union, China, and other socialist countries through the promotion of exchange programs between leading economists from those countries. His contributions have not been confined to the area of economics. He has also served as a member of the Presidential Commission on Educational Reform (1985-1992) and of the Council of Unification Policy Review. From 1980 to 1981, Dr. Koo served as president of the Korea Energy Research Institute at a time when the country was in the midst of an energy crisis. In response, he developed Korea's first comprehensive energy strategy.